The big bang is the preeminent theory of modern cosmology. The model is strongly supported by evidence. But if the big bang caused the Universe, what caused the big bang? Everything from God to nothing has been proposed as an answer, but there are some who think our Universe could have formed from another, earlier Universe. If that Universe also arose from an earlier Universe, then the answer could be that there truly was no beginning. This is the idea behind Conformal Cyclic Cosmology (CCC), an idea proposed by Roger Penrose. The basic idea goes like this: our Universe began in a hot, dense state, but it was very uniform. Clumps of matter appeared in the Universe over time, which eventually became stars, galaxies, black holes and the like. At the moment our Universe is a clumpy distribution of galactic clusters, but because of dark energy and the expansion of the cosmos that will change over time. 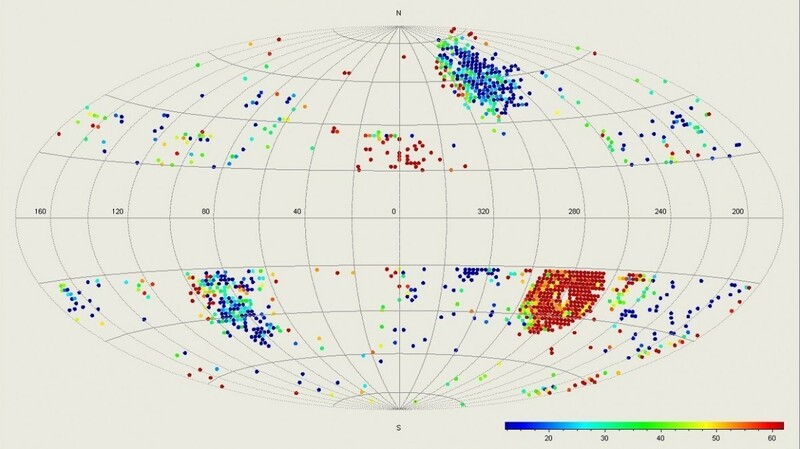 Galaxy clusters will become increasingly isolated. Supermassive black holes may capture their surrounding galaxies, but through Hawking radiation even black holes should evaporate into a sea of radiation. So our Universe should become uniform again in the distant future. Could the uniformity of the beginning of our Universe be somehow connected to the uniformity at the end of another Universe? Penrose’s idea has a lot of problems. To begin with, it’s not clear just how the old and new Universes would match up. Penrose proposes a conformal mapping between the two, but his method lacks clear details. There’s also the problem of proving such an idea. Since a cyclic cosmology would look just like a big bang cosmology, how would CCC ever become more than just wild speculation? In a recent paper, Penrose and a colleague propose a possible solution, and it involves alien messages from an earlier Universe. Such a message, Penrose argues, could be encoded in the cosmic microwave background (CMB). 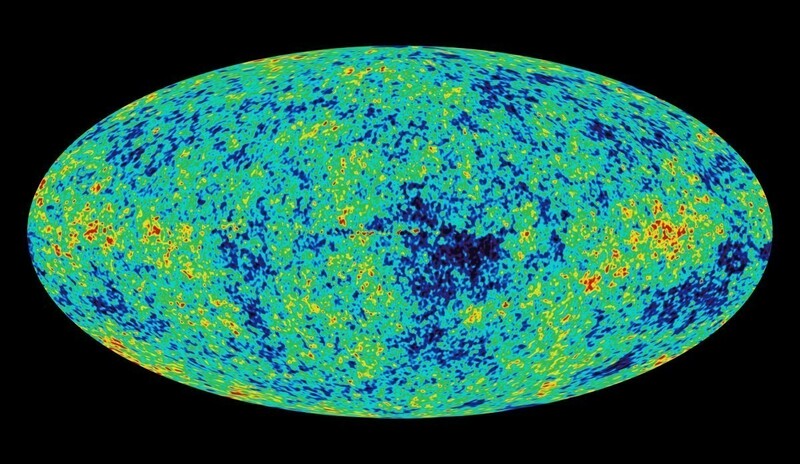 While the CMB is fairly uniform, it does have small fluctuations in temperature. The scale at which these fluctuations occur tells us about the overall structure of our Universe. But there are also regions where the fluctuations are more extreme than we’d expect. These anomalies aren’t highly unusual, but they are interesting enough that some have speculated they might be caused by another Universe. But in Conformal Cyclic Cosmology, such fluctuations aren’t likely to appear because the new and old Universes connect when they are smooth. But if the CCC idea is correct, some super-advanced civilization in the old Universe could intentionally imprint the new Universe with a signal or message. In principle we should be able to detect such a message. Obviously the whole idea is very speculative. But at least it could provide some fodder for science fiction. Brian – Thanks for all your posts. I also like speculations about origins and fates of universes; we’re still at the beginnings of discoveries. Have you been following Lee Smolin’s thoughts about time and possible tuning of the parameters of the Standard Model through new universe generation via black hole creation? I’ve only read his ‘popular’ treatments, Life of the Cosmos, The Trouble With Physics,Time Reborn and The Singular Universe (with R.M. Unger). Do you have any comments about their ideas? I also have a question about Hawking radiation and event horizons. The mental picture I have is that the radiation is considered to be anisotropic, only emerging from the black hole. Certainly the only effect we see is on ‘our side’ of the event horizon. Would the event horizon be radiating inwards as well, or does the curvature gradient generate anisotropy? And since mass seems to all be of one kind (even antiparticles have ‘normal mass’ rather than ‘anti-mass’, whatever that might be), wouldn’t the black hole be gaining mass from the inward radiation? My undergraduate physics classes were a long time ago. I can only ask dumb undergrad questions and aspire to asking dumb post-grad questions. ;-} But thanks again for your posts!